Honeywell V2043ASL20 3/4" Horizontal Angle Valve. One-Pipe Steam Thermostatic Radiator Valves allow automatic temperature control in one-pipe steam or hot water systems for free standing radiators, convectors and other heating units with standard capacity requirements. Provide comfort and energy savings. Continually monitors and adjusts room temperature for consistent comfort and relief from under-heating and overheating. 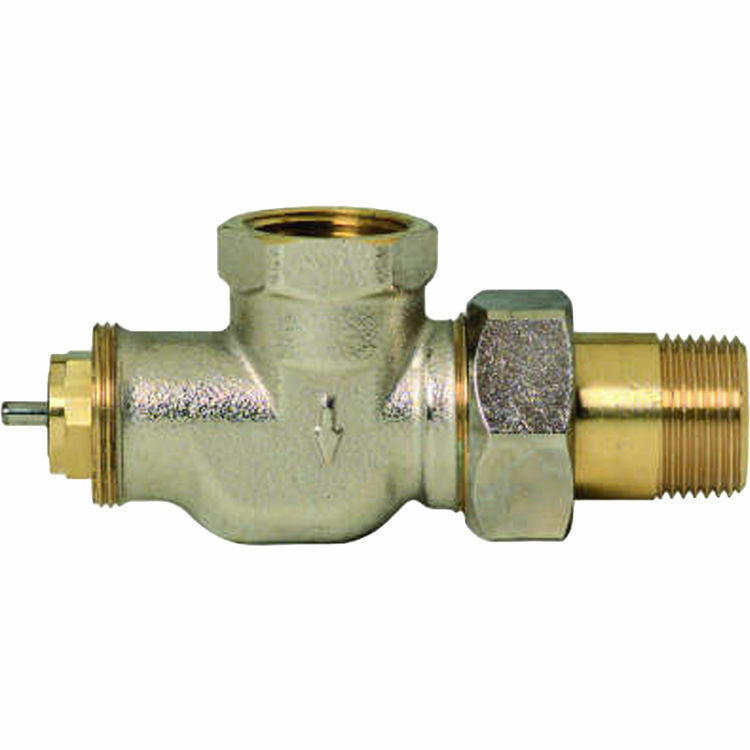 Adjustable balancing cartridge design made from resilient material (EPDM), ensures tight shut-off on steam and hot water systems. Nickel plated brass casted body. Replaceable cartridge for easy service with service tool. Controls include valve body, steam air vent. Used with T100 set point and capillary actuators. No electrical connection required for non-electric actuators. Normally open without control mounted.